We took off this morning on the Golden Circle; a scenic drive around Iceland. 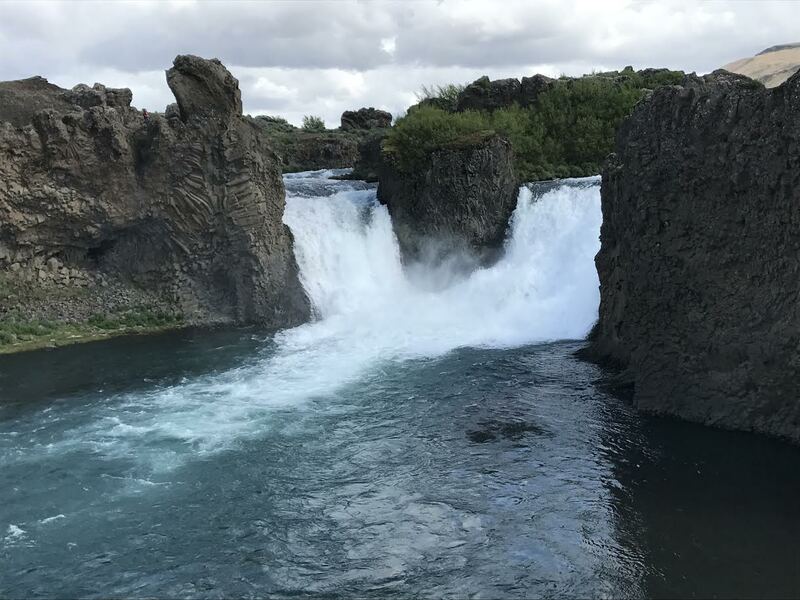 Many sights were included in our drive, such as Mount Hekla, Helping Hands waterfall, Gullfoss Falls, and Thingvelllir National Park. We took off this morning on the Golden Circle; a scenic drive around Iceland. Our first stop was near Mount Hekla; an active volcano that is expected to erupt soon. We then visited The Commonwealth Farm, which is the replica of a medieval farm of Stong. 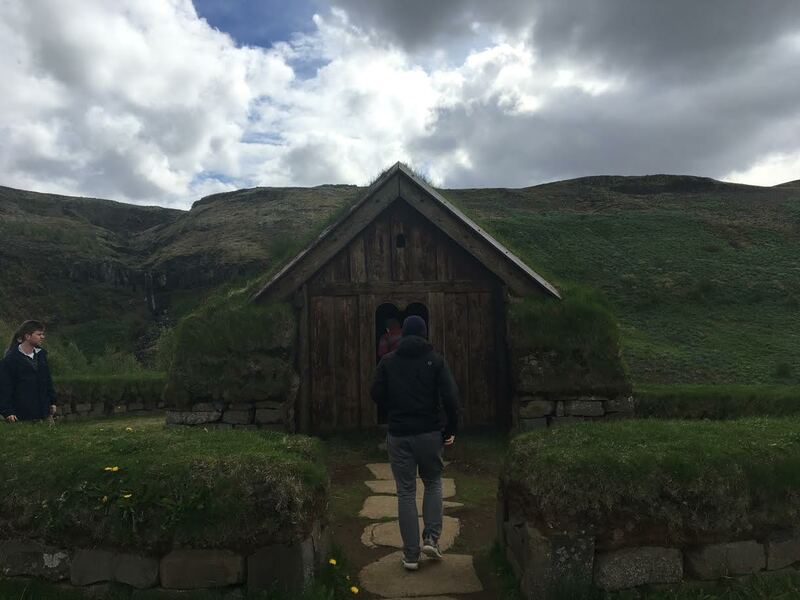 Here we saw a church as well as the living quarters which both featured the turf roof. Our lunch stop was at the beautiful and semi-secret Helping Hands waterfall. 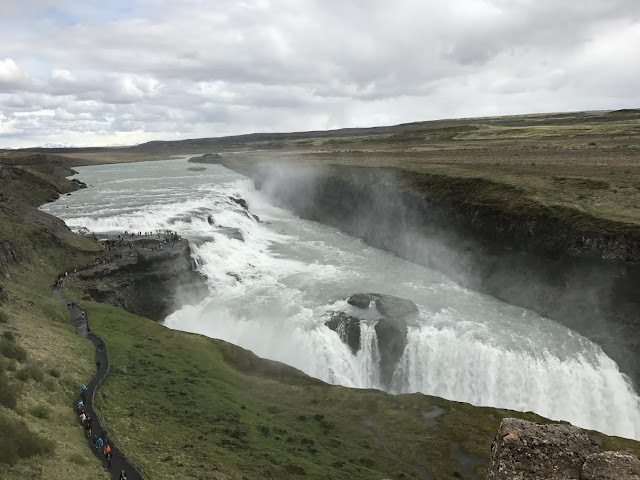 We then saw Gullfoss Falls, a powerful waterfall that almost became a hydro power plant, but was preserved for its beauty. Finally, we stopped at Thingvelllir National Park to see the first parliament in Iceland. This park was a place where any individual of the Icelandic community who wanted a say in the law would join together. The final rulings were then made by the law speaker. Thanks for all the fine reports. Looking forward to your return to Minnesota -- soon!